Good morrow lemmings and it looks like the most wonderful time of the year has come around once more. That’s right – it’s poppy season, and everyone’s got one on their lapel despite it being not even the last week of October. It starts earlier every year, doesn’t it? Soon we’ll be fully emersed in the Poppy Wars, where politicians try to out-poppy each other by pinning bigger and bigger paper flowers to every inch of their bodies in an attempt to be the most sincere. Anyway, as you may have noticed, the Big Man has come to town. Actually, several big men. Alex Salmond’s admission that he may be getting back into the ring of Westminster politics was headline news, but Len McCluskey was also on hand to metaphorically punch his enemies into the stratosphere. All standard for a Liverpool edition of QT. Let’s do this shizzle. Dimbleby starts us off by addressing a cameraman who’s wandered behind the stage, and then leads on to a question about life sentences. Alex Salmond isn’t here to talk about this. It’s England’s fault, wotevs. 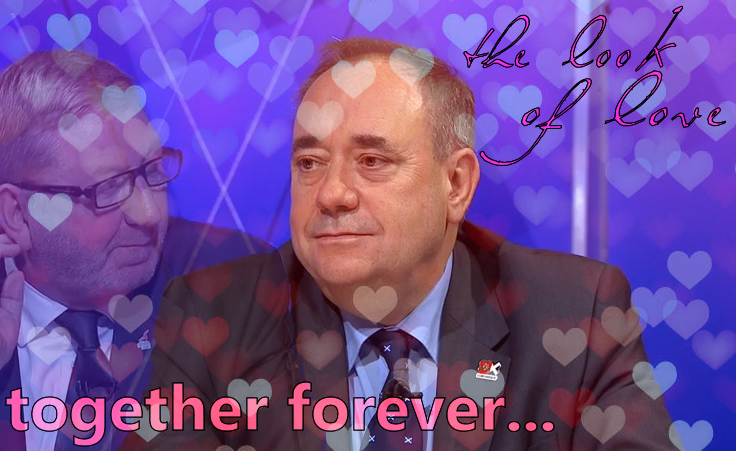 So we move on, knowing that Alex’s time in the sun will come (on this particular edition I mean, since he’s been basically everywhere the past two years – I’ve got Salmond fatigue/Salmondella). Meanwhile in the blue corner is Mark Harper, who is clearly doing this show as a punishment for sinning in a former life. He simply must have got in trouble somewhere along the line – maybe he accidentally kicked Michael Gove’s dog – because no Tory with half a survival instinct would willingly go on a Liverpool Question Time. Five seconds off the starting gun and he already looks like he’s about to pee himself. I mean, for goodness’ sake, he’s the minister for disabled people and he’s being trotted out immediately after ol’ Freudy put his foot in his mouth! But ah, what the hell, that was one whole week ago. Everyone’s got over it now, right? Well apparently so because it doesn’t get brought up once. The cosmic ballet goes on. His trundling dullness is interrupted by Louise Bours. Life should mean life, she says. Okay, the audience nods along. Nod. Nod. Nod nod nod. N- wait, what the hell did you just say? Bringing back capital punishment? I turn up the volume on iPlayer because things have suddenly got a whole lot livelier. The audience is groaning! Louise is struggling to be heard! Kill a cop, get your head chopped off! 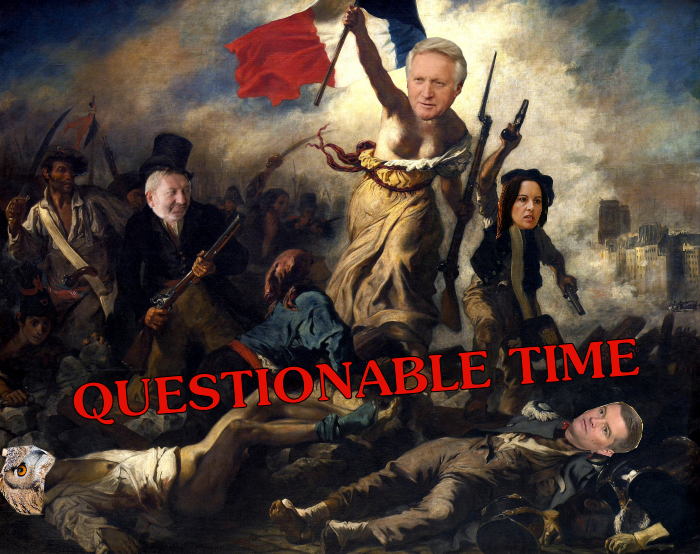 “Is that UKIP policy?” Caroline Flint asks, baffled. Louise responds excellently. UKIP don’t have a policy. And the crowd goes wild! This is great fun. The next question is even more fun. It’s about Hezza lamenting the state of the North and London trampling all over it. Len McCluskey’s ready for this one. He was born ready. We need regional banks! Regional jobs and growth! There’s money but the dirty Londoners are sitting on it having cocktail parties. The Tories don’t understand because “there are no Tories north of Birmingham”. This gets a predictably ecstatic reaction from the crowd, including some whistles (take it off, Len!) and Mark continues to pee himself. He does his best, pointing out that Len wouldn’t mind if Ed Miliband fell under a bus. Seems like the audience wouldn’t mind either. 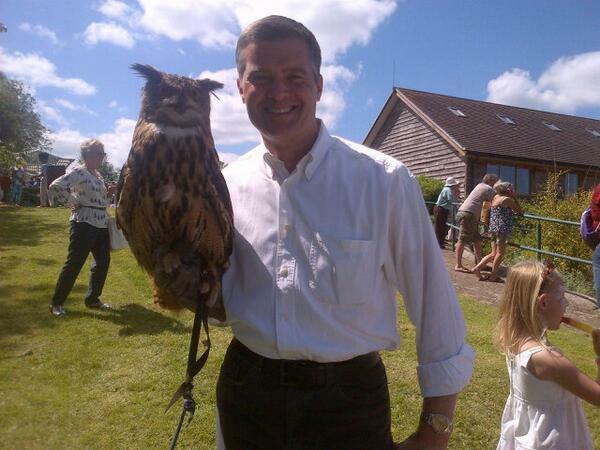 Mark valiantly rattles off some statistics but what he really needs to do is bring out his owl. Caroline agrees with Hezza, unlike those mean old Tories – ignore the fact that Tarzan is also a Tory. “Mark is living in fantasy land”, she says, and then a member of the audience echoes her: “you’re living in cloud-cuckoo land!” This is quickly turning into the gang-up-on-Mark Harper show and it’s only about to get worse for him. “The Labour Party doesn’t have an economic plan!” he squeaks (Mark, please speak up, I can barely hear you). Then he gets thrown into the dumpster by King of the School Alex, who proposes we run over George Osborne instead. More applauding. Gosh, this is a worryingly violent programme. Louise smooths over her earlier brush with unpopularity by supporting “true localism”, health workers on boards etc, which is nice I guess but then she gets steamrolled by the audience, who appear to be preparing to join Len in storming the government and unleashing the glorious revolution. Len’s on a roll now: he only needs yell the words ‘zero hours’ and a great wave of emotion rolls across the studio drowning all in its wake. Alex suggests Liverpool and Scotland skip off into the sunset together. This is beautiful. I’m having a great time watching this, although I do feel a bit sorry for poor Mark. Next question: it’s the election-winning issue, the NHS! Out of nowhere Louise turns into a killer robot. Destroy all managers. Destroy all managers. No, we need health and social care brought together! says Caroline. She’s not letting Dimbleby interrupt her, she’s roundhouse kicking all who stand in her way no matter what the question and/or answer actually is. DESTROY ALL MANAGERS, blasts Louise. Mark now comes to the crux of the matter. The report vindicates us, he says, and we need a strong economy to achieve a strong NHS. Mark, for a small, shining moment, believes he’s on top of this one, but then he gets pushed in the lockers by Big Alex again. It’s almost sad. Caroline is enjoying watching Owl Man get beaten up. She doesn’t even need to intervene. Just lie back and enjoy the bloodbath. Len’s leading his troops – let’s get the elite to pay their taxes! Yeah! Just grab ’em in the street and steal their wallets. The audience wolf-whistles their approval and for a moment I’m scared Len really will start taking it all off. Alex and Len then share an intimate moment of mutually gazing at each other. The saxophone solo from Careless Whisper plays sexily in the background. This edition of QT is too much for me. I’m literally dabbing my sweaty forehead right now. Nite Owl bristles at Len’s accusation that he’s posh. How dare you call me posh. I’ll tell you whose fault it is, it’s Labou- DESTROY ALL MANAGERS! comes the cry from…the audience? Oh. Then Alex drops the bombshell covered in the opening paragraph. Maybe Liverpool can adopt him? He’s certainly tried to adopt Liverpool. Final question is on Scotland and whether they’ve been given the middle finger or not. Caroline says yes, Mark says no. All pretty standard. What does Alex think? Could he possibly be a little bitter? Surely not! He does, however, come out in favour of Liverpudlian votes for Liverpudlian people, and disses the “three amigos” that make up the world’s worst boyband – Cameron, Clegg and Miliband. All popular with the audience, as is Len’s admission of “positive neutrality”. Louise crests the wave by gleefully continuing Alex’s diss verse. Things have gotten out of hand again. Time for Dimbles to wrap it up. One thing’s for certain though: this debate ain’t ovah, although I think Mark has finally finished weeing himself. Next week has that fountain of charisma Tristram Hunt, and hopefully a crowd full of angry teachers.